The Ubintu/Linux boot menu after using the same installation for many times would look incredibly messy with entries of older Linux kernels remaining active. One way to get rid of them is by manually uninstalling the older kernels. Understandably that process can lead to huge complications and if any thing goes wrong? Well you will to the dreaded re-installation. 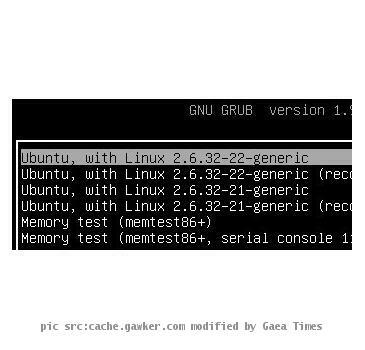 By the end of this article you will find a way to clutter free your grub menu. The useful bash script will be able to do the same thing for you and that too without any hassles whatsoever. The older kernels will make your boot menu a messy place and also eat up hard drive space. Instead of uninstalling one by one we recommend that you use this bash script to automate the process. You will need to copy the code below and paste it in a text editor. Then you must save the file as cleanKernels.sh. path/to/cleanKernesl.sh being the location where the file is being saved. Very useful plagin, imho. thanks for it. Thanks for sharing the details. It was very helpful indeed.